Skip the roses this Valentine’s Day. 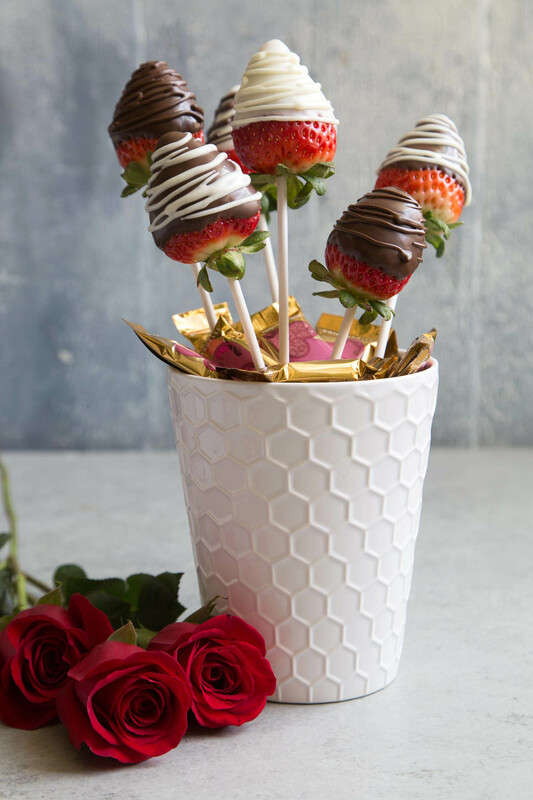 Surprise loved ones with a chocolate strawberry bouquet! 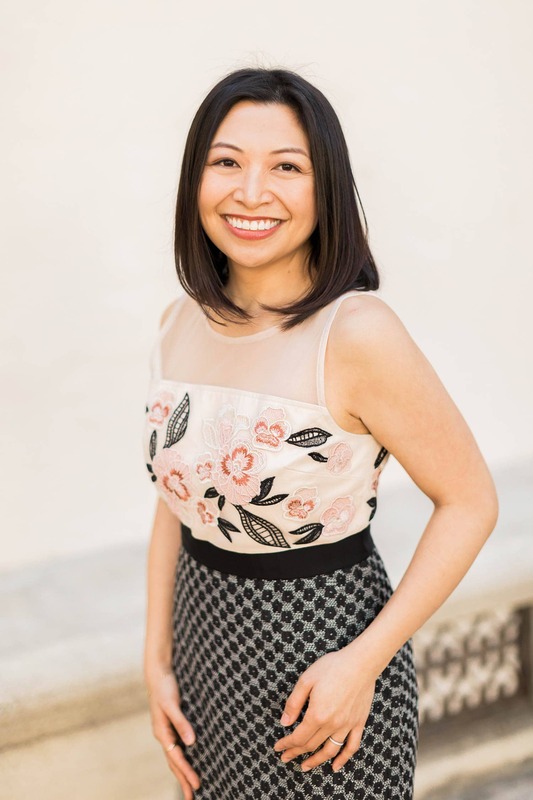 This post was made in partnership with Ghirardelli Chocolate Company. Thank you for supporting our brand partners! As always, all opinions stated here are entirely my own. There’s something so special about handmade gifts. Yes, flowers are a staple for Valentine’s Day, Mother’s Day, and anniversaries. A bouquet of flowers are pretty to look at, but that’s where it stops. Why not gift something that’s thoughtful, pretty, and also edible! 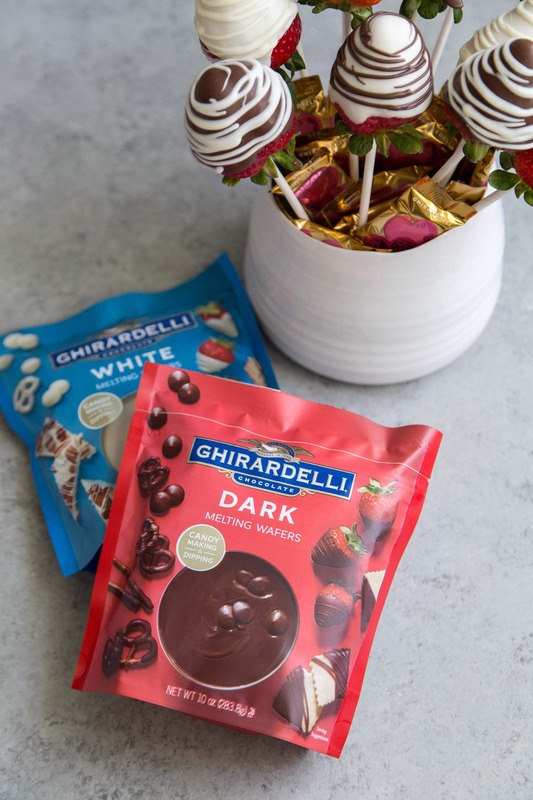 A chocolate strawberry bouquet is something you can share and enjoy together. It’s perfect for all ages. 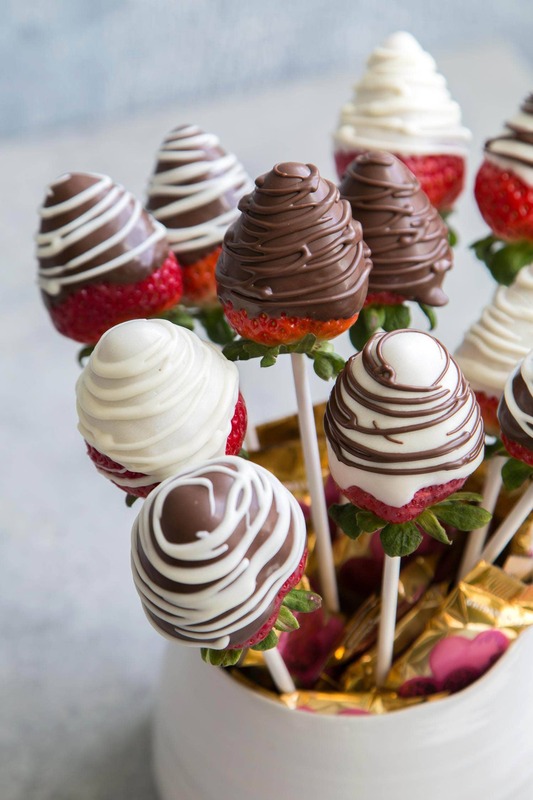 Following Ghirardelli’s motto, let’s “make life a bite better!” with dipped strawberries. Thanks to the pleasant weather of California and Florida, we can enjoy farm fresh strawberries from January through autumn. As we hit the peak strawberry season in spring, it’s the perfect time to take advantage of these beautiful red berries. Look for large plump strawberries, probably with stems still attached. Rinse the strawberries clean and pat dry. Ensure that the strawberries and leaves are completely dry. Water is the enemy of chocolate. Wet strawberries may cause the melted dipping mixture to seize. 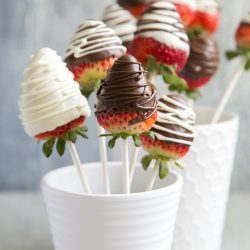 When it comes to dipped strawberries (bananas, cookies, cakes, etc), the most common annoyance is tempering chocolate. In order for melted chocolate to set up shiny, it needs to be tempered. Out of temper melted chocolate will harden with a dull surface or pale white streaks (bloom). No one wants that. The Ghirardelli melting wafers alleviates your melting chocolate woes. These melting wafters (available in white and dark) require no tempering! Simply melt the wafers gently over a double boiler or in the microwave. In no time, you can start dipping all your favorite treats. Best of all, the melting wafers produce that nice shiny gloss and iconic snap when you bite into the dipped strawberries. Gently pierce a paper lollipop stick (cake pop stick) through the stem of each strawberry. Dip the strawberries into the melted wafer mixture. Stick the dipped strawberries inverted on a styrofoam cake dummy or floral styrofoam to set (as photographed above). This will ensure a smooth coating around the entire fruit. Otherwise, allow place dipped strawberries on wax paper lined plate. However, with this method, one part of the strawberry will have a flat surface. Use a vase, pot, or vessel of choice. Line vase with a styrofoam cake dummy or floral styrofoam. Pierce strawberry sticks through styrofoam and arrange as desired. 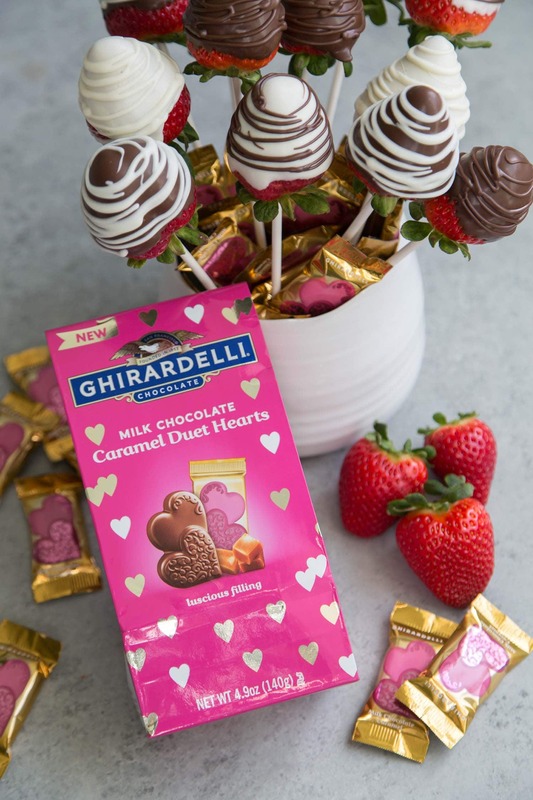 For the finishing touch, cover the styrofoam with Ghirardelli Milk Chocolate Caramel Duet Hearts! 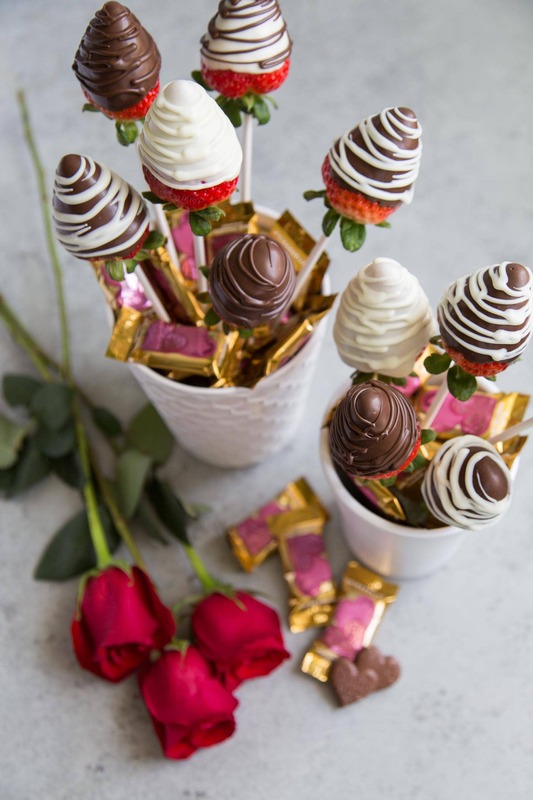 The gold wrappers with the pink heart designs gives the chocolate strawberry bouquet a festive Valentine’s Day touch! This is such a fun project to do with kids of all ages. Set up a dipping station with sprinkles and treats for young ones. Or arrange a dipping station for adults with wine, cheese, and additional chocolates! These chocolate strawberries are best eaten the day they are dipped. 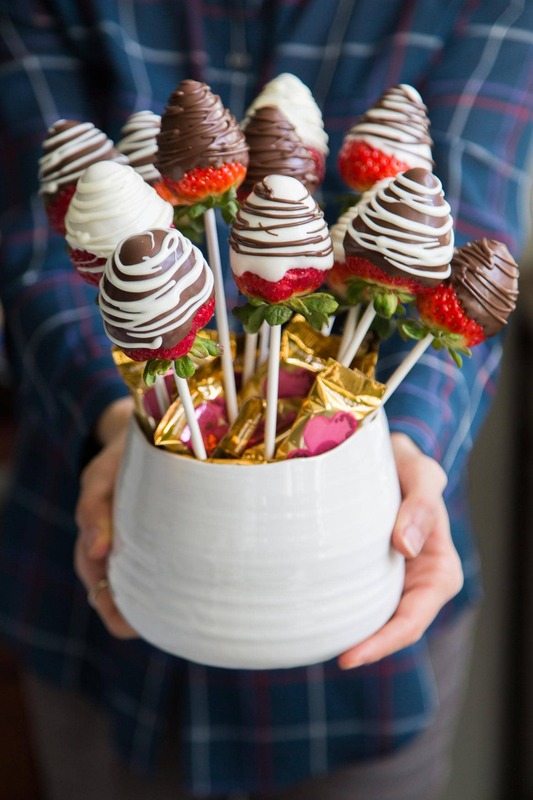 A bouquet of fresh strawberries dipped in Ghirardelli Chocolate white and dark melting wafers. It's a fun way to display chocolate covered strawberries! Rinse strawberries and pat dry. Place clean strawberries on a paper towel lined tray. Set aside. Place white and dark melting wafers in separate containers. Follow package instructions to melt wafers using either microwave method or stove-top method. Gently insert lollipop sticks through the stem of strawberry. Before dipping strawberries, pat dry once more to make sure there is no remaining moisture on the strawberry or leaves. Dip strawberries into melted mixture, allowing any excess to drip off. 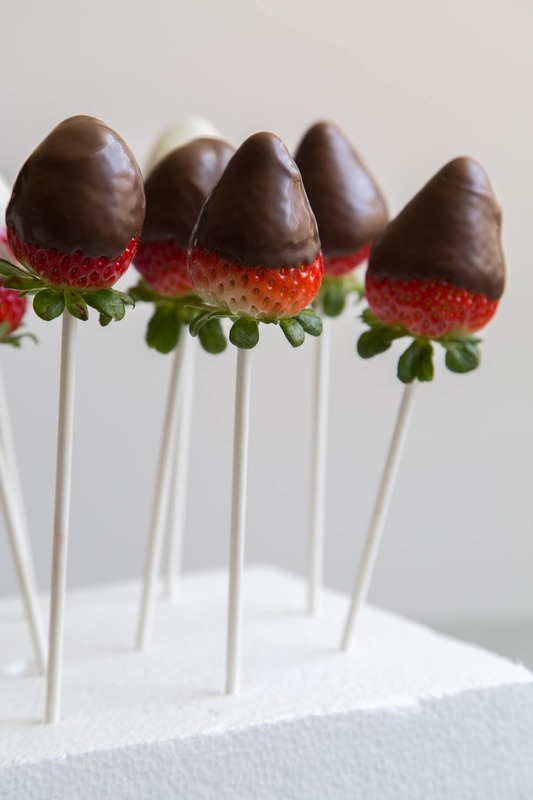 Stick dipped strawberries in a styrofoam cake dummy or floral styrofoam to set. Otherwise, allow place dipped strawberries on wax paper lined plate. 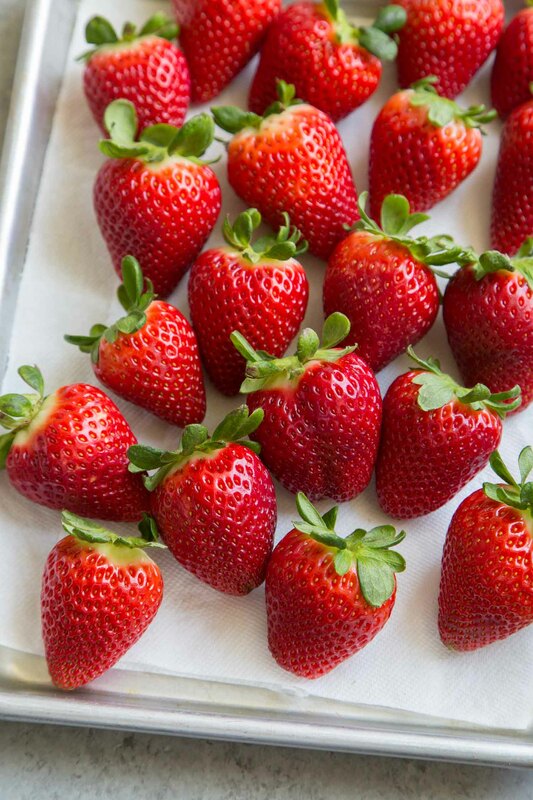 Leave dipped strawberries out at room temperature to set. Alternatively, let dipped strawberries chill in the fridge for 10-15 until hard. Once chocolate strawberries are set, they may be arranged in a vase or container. Cut floral styrofoam to fit the bottom of desired container. Arrange strawberries sticks as desired in styrofoam. 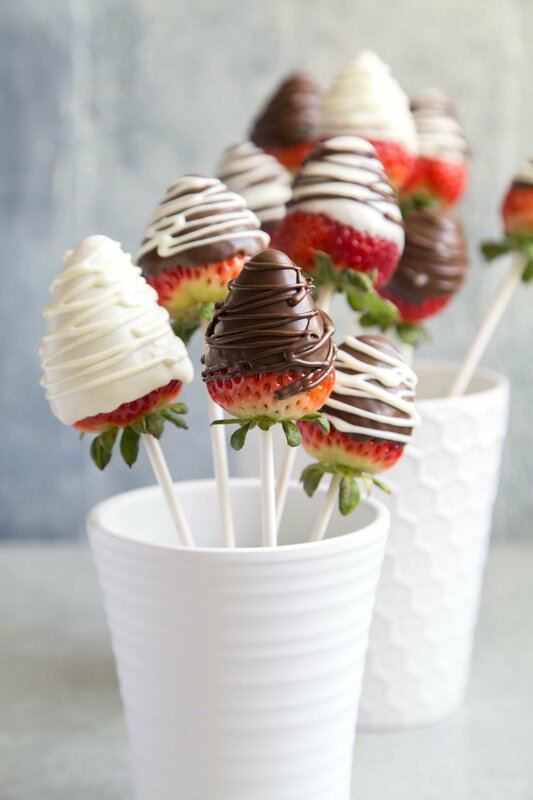 These chocolate strawberries are best enjoyed the day they are dipped. Over time, the strawberries will start to weep moisture and softened the chocolate coating. I love this idea for a Valentine’s gift! I think my son would be so excited for these. He loves strawberries and chocolate! *running to the store to get the ingredients* this looks so delicious!! Mmmm these look beautiful and delicious! So good to know about melting wafers…goodbye chocolate melting woes, LOL! What a great gift! And wow those strawberries look incredible. I have yet to see any that beautiful where I live. Yum! I would so enjoy a gift like this for Valentine’s Day.